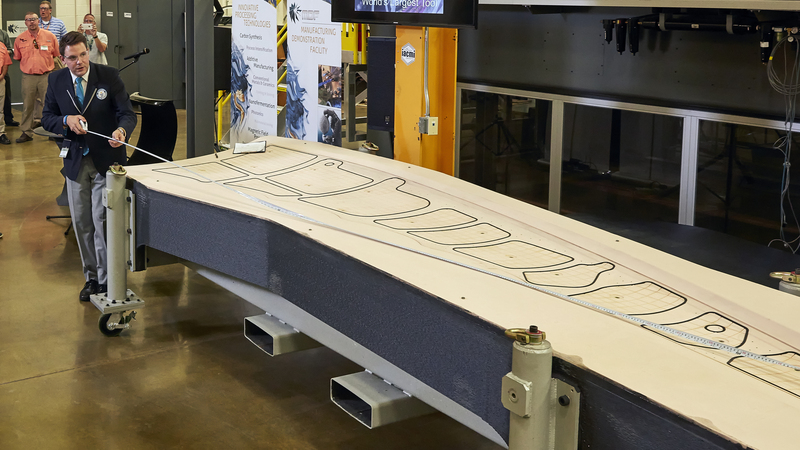 Official measurement of the 3D printed trim tool co-developed by Oak Ridge National Laboratory and The Boeing Company exceeded the required minimum size to achieve the Guinness World Records title of largest solid 3D printed item. 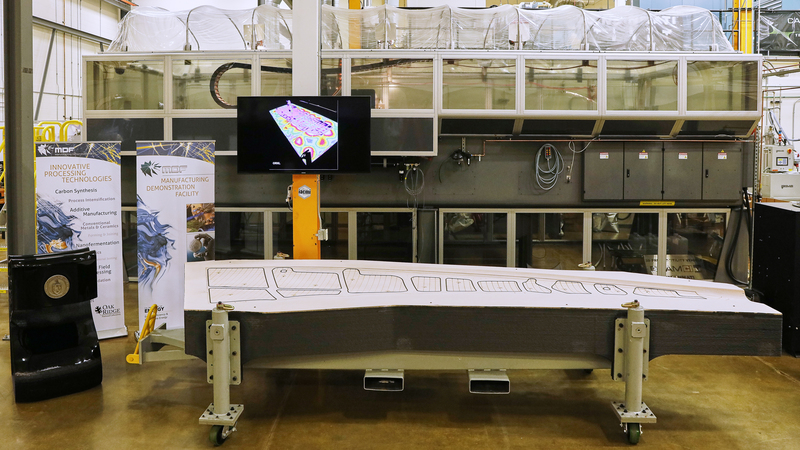 A 3D printed trim tool developed by ORNL and Boeing to be used in building Boeing’s 777X passenger jet has received the title of largest solid 3D printed item by Guinness World Records. 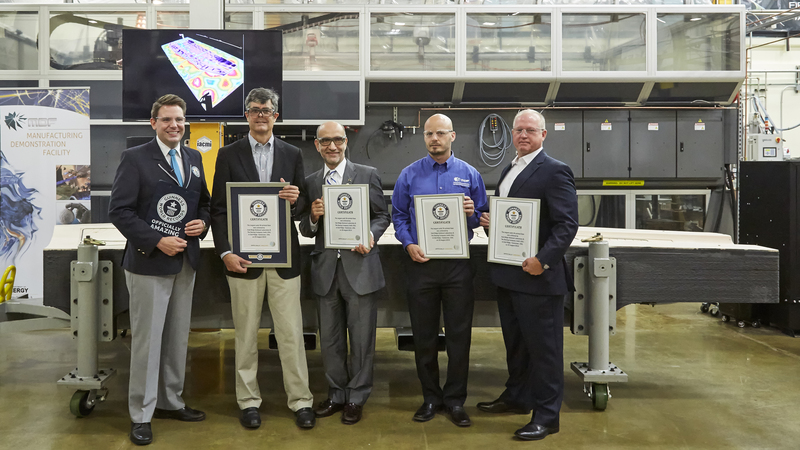 Guinness World Records judge Michael Empric awarded the title of Largest solid 3D printed item to ORNL Laboratory Director Thom Mason, Leo Christodoulou from The Boeing Company, ORNL’s Vlastimil Kunc and Mike Matlack from Boeing.